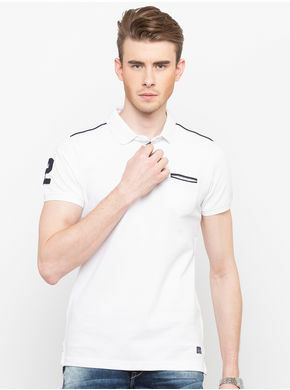 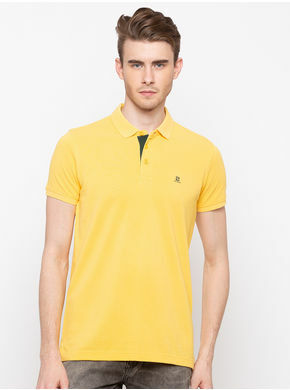 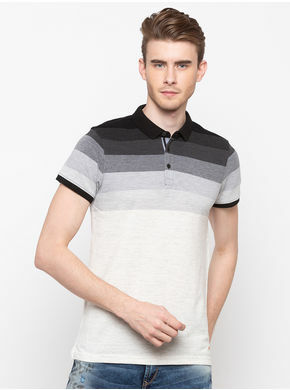 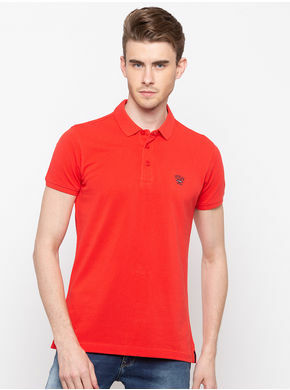 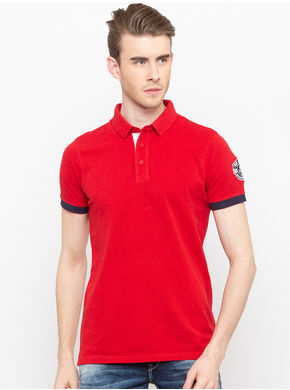 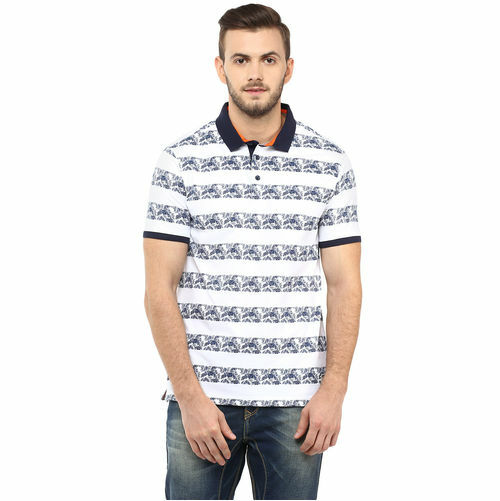 Break free from the shackles of monotonous fashion by wearing this polo T-shirt for men by Spykar. 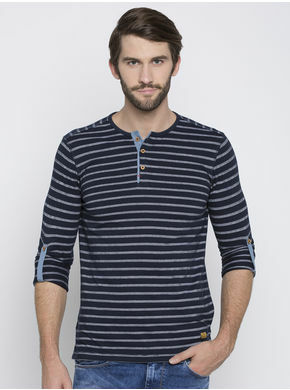 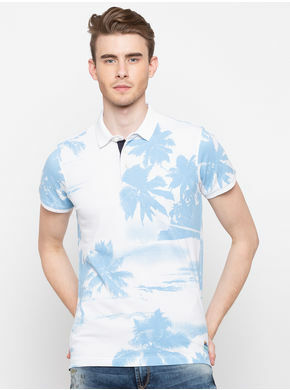 The striped tropical print makes this T-shirt look trendy, while the soft fabric provides a comfortable fit. 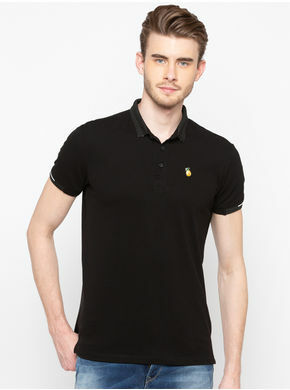 Team it with black, skinny jeans and loafers to flaunt a smart look.